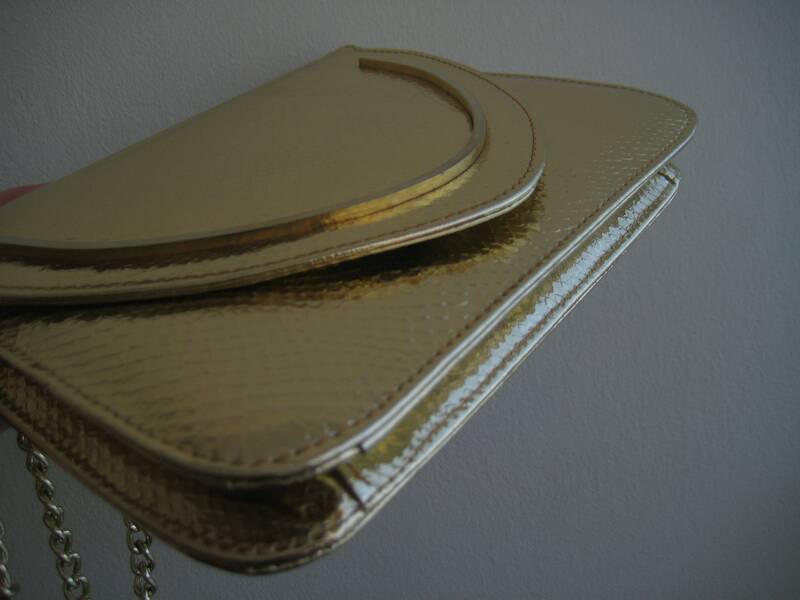 Bold gold envelope evening bag with classic look. 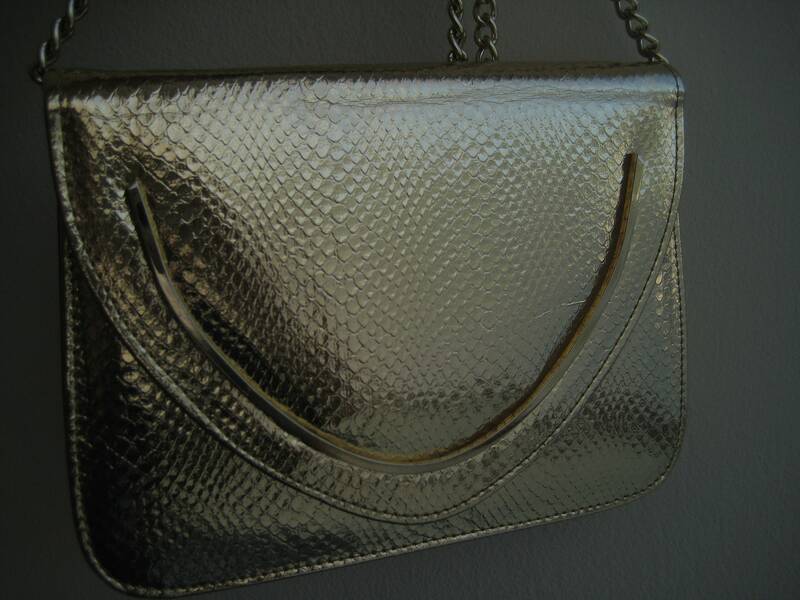 Faux leather body with a reptile emboss. 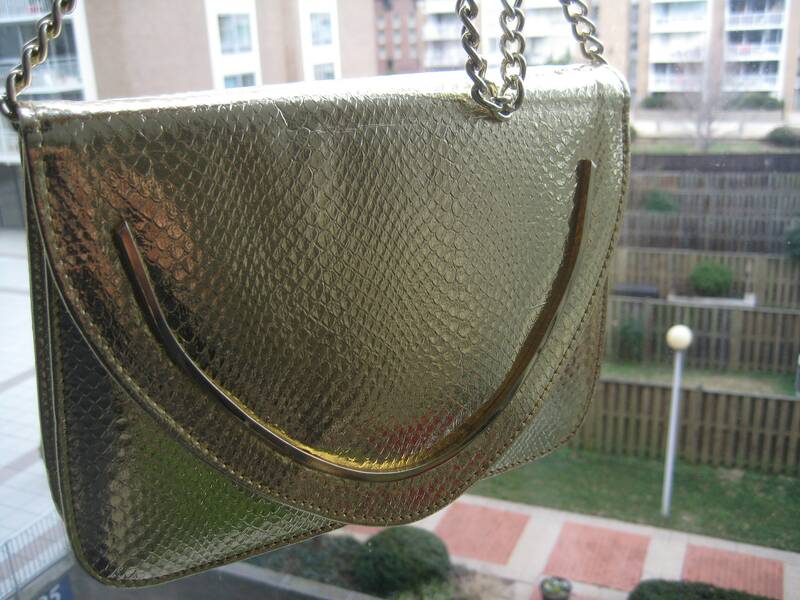 Made in Hong Kong by famous evening bag maker Walborg. 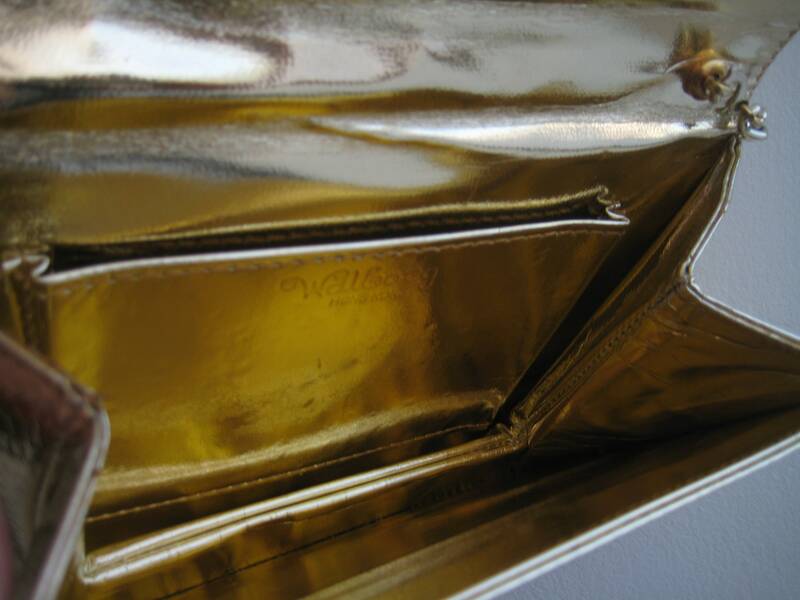 Fold over envelope style with a metal snap closure. Gold tone metal chain strap with a 14 inch drop. 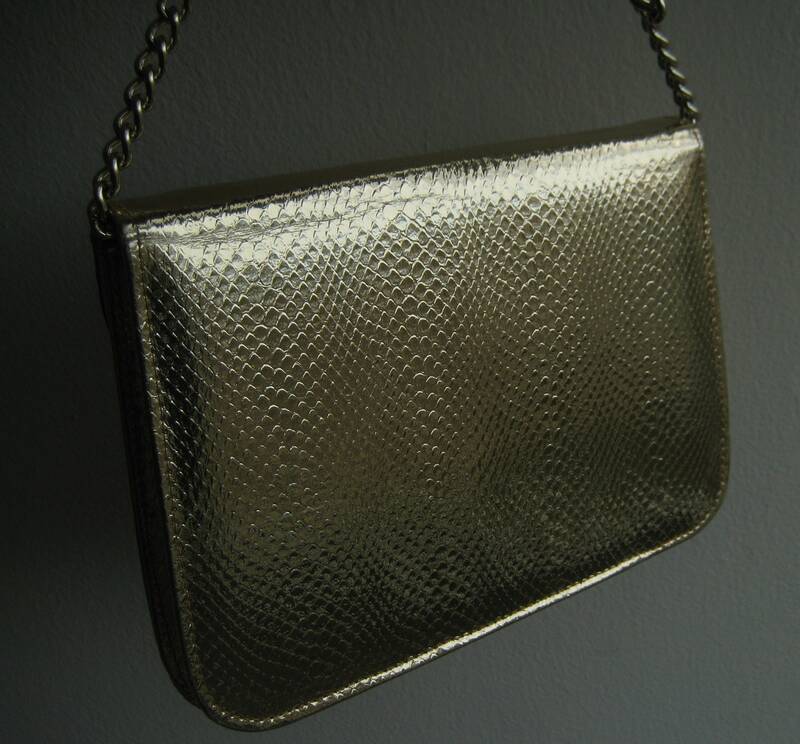 Perfect for over the shoulder but the strap folds into the bag for a clutch hold. 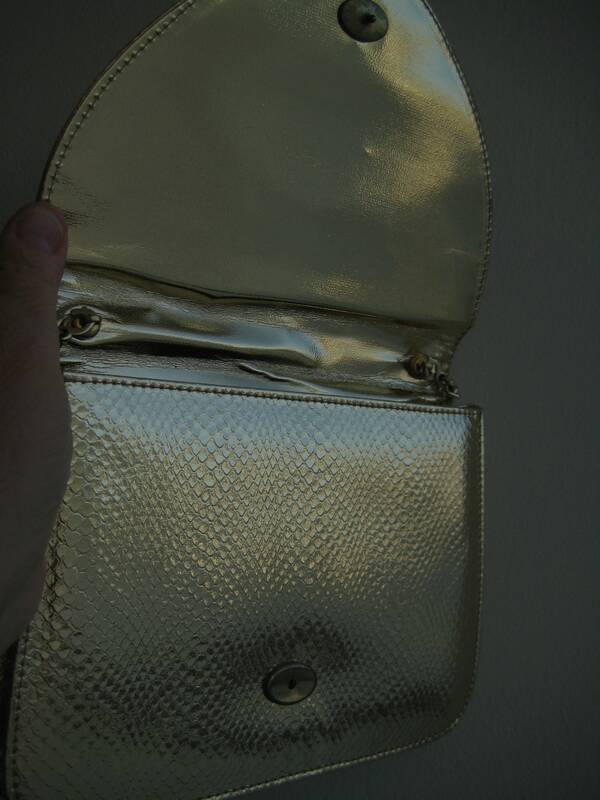 Gold faux foil interior with a side patch pocket. Gorgeous condition! 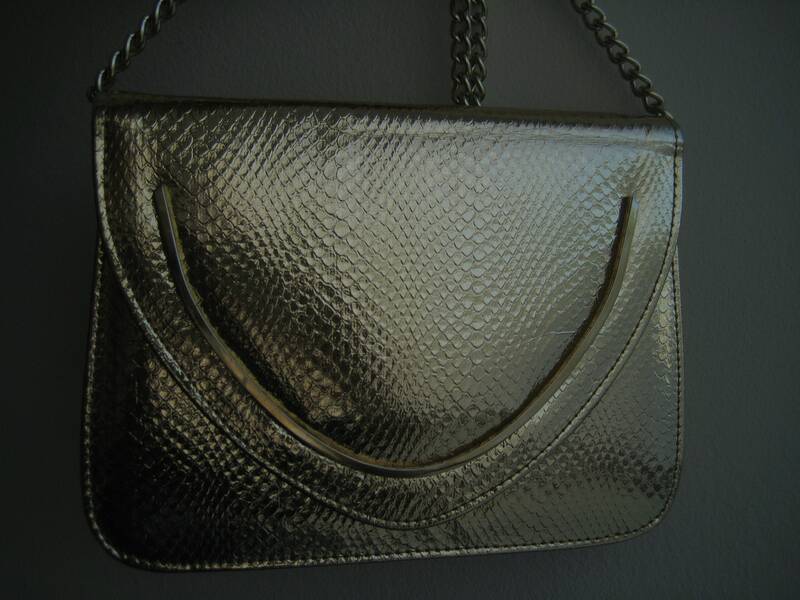 It was hard to show just how shiny and pretty this purse is. Dimensions: 8 inches long x 6 inches tall x 1 inch wide at the bottom.